I will admit that I was a bit reluctant to check out "Bullet to The Head, " Sylvester Stallone's latest action movie. After the "Last Stand" debacle that Arnold Schwarzenegger delivered, proving that he has reached an age at which he can practically no longer move, I was afraid to witness the same disillusion all over again. Far from it. Sly shows that despite his age he can still carry an action movie without having to revert to cut-aways and other camera trickery. He is still the man! Jimmy "Bobo" Bonomo (Sylvester Stallone) is a hit man in New Orleans but finds that he's been set up on his most recent job. While his partner for many years is killed, Jimmy walks away alive, but roiling with the desire for revenge. Support on his mission comes to him from the most unexpected of corners, young, out-of-town cop Taylor Kwon (Sung Kang). Kwon is after a ruthless "businessman" who uses his influence, power and hired muscle to get people to see things his way, and he is the one who hired Bob in the first place. The odd team pair up in order to find the businessman and pay him his dividends. What could have turned into a farce of a buddy movie, actually turned out to be a darkly humorous but also extremely energetic movie in the capable hands of veteran action director Walter Hill. Hill, who directed action classics like "The Warriors," "48 Hours" and "Streets of Fire" as well as comedies "Brewster's Millions" has more than just a few great films under his belt, and his experience shows through every frame. From the first minute, his sure-handed direction steers the film clear of clichés and offers a hot, modern feel for this movie. With phenomenal action sequences and a good sense of humor, Stallone gets to play the kind of character he does best – gruff, dryly funny and likable – and instantly allows you connect with this take-no-prisoners kind of guy he's playing. Sung Kang manages to hold his own firmly beside the action superstar and has moments of true brilliance written for his character. The clash of generations between the two is pure gold and the cast, together with director Walter Hill and writer Alessandro Camon are there to mine it for every nugget it's worth. The film offers a show-down like the best we remember Stallone doing, dishing out a vicious battle between Sly and the new "Conan" actor, Jason Momoa. Cool, vicious and very entertaining all this. Warner Home Video is presenting "Bullet To The Head" in a wonderful 1080p high definition transfer on this release, in the movie's original 1.85:1 aspect ratio. The transfer is absolutely clean and has the look this hard-knock flick deserves. Bold and colorful with super deep blacks and plenty of detail to please the eyes. The DTS 5.1 Master Audio track is there serve you well, also, giving the pulse-pounding surround effects a chance to work their magic, while keeping the sound field stable and wide at all times, with solid bass extension and clean high ends. As extras, the release contains a featurette called "Bullet To The Head: Mayhem Inc." It is nice little look behind the scenes with case and crew interviews, offering a look at the making of the movie. "Bullet To The Head" was a very pleasant surprise. 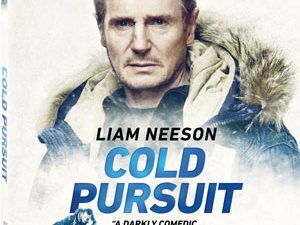 A gritty action flick with one of the genre's true superstars, this film is sure to entertain and keep Sly in the pantheon of Hollywood heavy weights.